It’s that time of year folks, the Ball Bash. This year marks the 15th annual Ball Bash softball tournament with 14 teams—the most ever—signed up for the tournament Saturday and Sunday, August 13-14. The Ball Bash has an abundance of elements, adding up to a fantastic weekend of competition, all to raise money for the Crested Butte Parks and Recreation Scholarship Program and the Tommy Ruben Villanueva Sports and Recreation Fund, both benefiting youth athletes in Crested Butte. 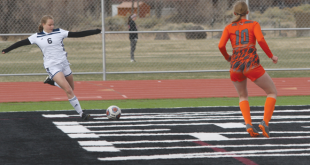 The tournament also provides local teams an opportunity to mix and match rosters, to defend the local fields from the onslaught of teams from throughout Colorado. 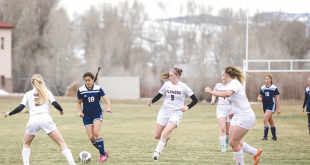 This year three teams from Montrose, two from Gunnison and one from Glenwood Springs and Telluride will roll into Crested Butte to battle the seven locally based teams. The big question is: Can anyone stop the Wet Grocer’s reign? They’ve won the last two Ball Bash titles and will be back this year gunning for the three-peat. Tournament games Saturday will be played at Tommy V, Pitsker and Gothic fields starting at 8 a.m. Games will conclude that first day late that afternoon, at which point the big hitters will rest, relax and refuel for the annual Home Run Derby that evening at Tommy V Field. The derby will have a men’s and women’s division, it’s $20 to enter and participants must be on a Ball Bash roster to compete. Anyone who wants to grip it and rip it must sign up at Tommy V Field anytime Saturday before the start of the derby, and both the men’s and women’s divisions will be capped at 20 hitters each. In past years the derby has lingered on into the night so Thomas is reviewing possible format changes to speed up the competition. Home Run Derby champions will get their entry fee refunded, a gift certificate to the Last Steep and a commemorative flask. On Sunday the elimination games will start at 8 a.m. as well. Thomas hopes to use only Tommy V Field and Gothic Field for the elimination rounds and the finals are loosely slated for 3 p.m. at Tommy V Field. Following Sunday’s finals, awards will be handed out accordingly, including the Tommy Villanueva Memorial MVP Award and the John Wheeler Memorial Sportsmanship Award, decided by the Wheeler and Villanueva families.